Westwater Canyon Trip Review: Our overall grade? A+ !! Our overall grade? A+ !! Tammy was very organized and kept in contact before our trip. She remembered me by name when I called to ask a last minute question. Our guides, Rocky, Leland and Erika were extremely competent and knowledgeable. They were not only knowledgable about the whitewater trip, but also about the geology and ecology of the area. 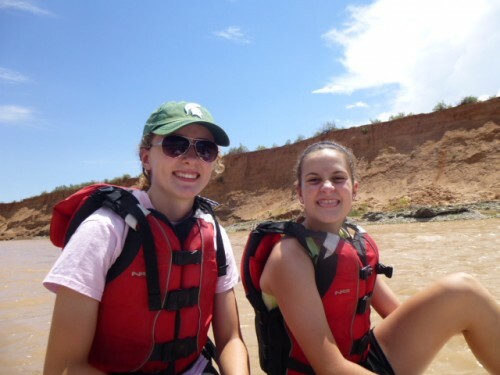 We were looking for a whitewater experience that our entire family could enjoy together. Being able to take our 8 year old along and feel completely confident that she was safe sold us on the Westwater canyon trip. Getting into remote country, sleeping along the river bank, and getting an adrenaline rush were also at the top of our wish list. 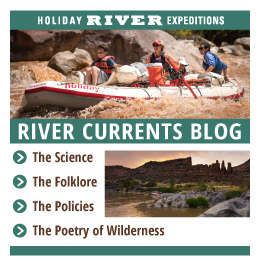 Our guides, and the rest of the Holiday River Expeditions team delivered on all counts. Plus they served excellent and surprising food, and educated us about the environment we were traveling through. Our overall grade? A+ !! Holiday strives to be the best and give the best. When it comes to our food, we have 50+ years of perfecting the meals we provide to our guests. Our guides all go through extensive whitewater, and medical training before they are allowed to row guests down the river. We focus on hiring young men and women who have a love for our environment as much as their love for adventure. 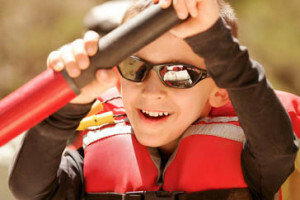 They are able to show our guests a fun, educational, and adventurous time on the river.